This is a fully functional hand-cranked model of a multi-stage planetary reducer. The photo below shows this model with 3 stages. 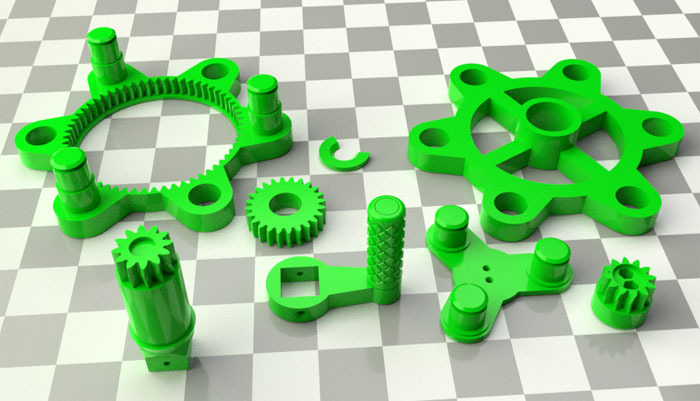 Each stage has a gear ratio of 1:6, so the overall gear ratio of a 3-stage reducer is 1:216. The design allows for an unlimited number of stages. However, for a hand-cranked model, the practical limit is 3 stages. Even with feverish cranking, the output shaft barely moves because of the very high gear ratio. Attach sun to the bottom side of carrier with two Phillips-head M3-12 screws and two M3 nuts (available cheaply on eBay.) The hexagonal holes in the sun should be pointing outwards. Mount 3 planets onto carrier, secure each with a washer. Insert the carrier with the planets and sun on them into ring. The sun goes in first. Attach ring to front (for stage 1) or to previously installed ring (for stages 2, 3, etc.) The sun needs to be pushed hard into the following stage's planets. Secure the ring with three washers. Once all stages are assembled, insert shaft through the hole in front. Push hard. Attach handle to shaft and secure with two M3-12 screws. 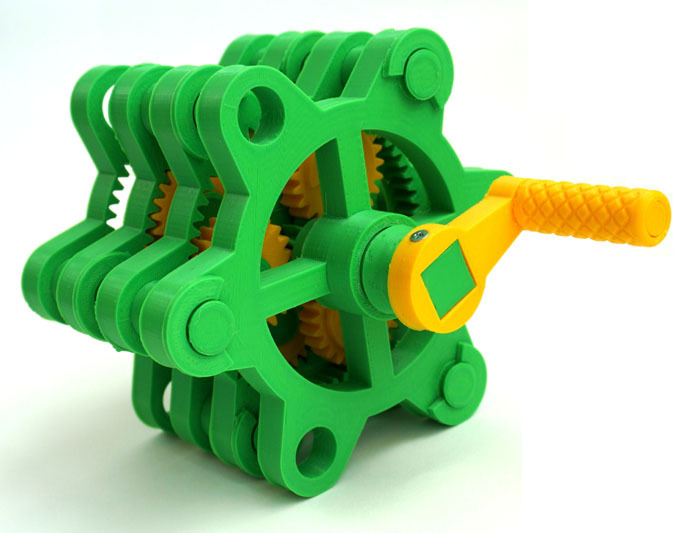 Enjoy your planetary gear model!